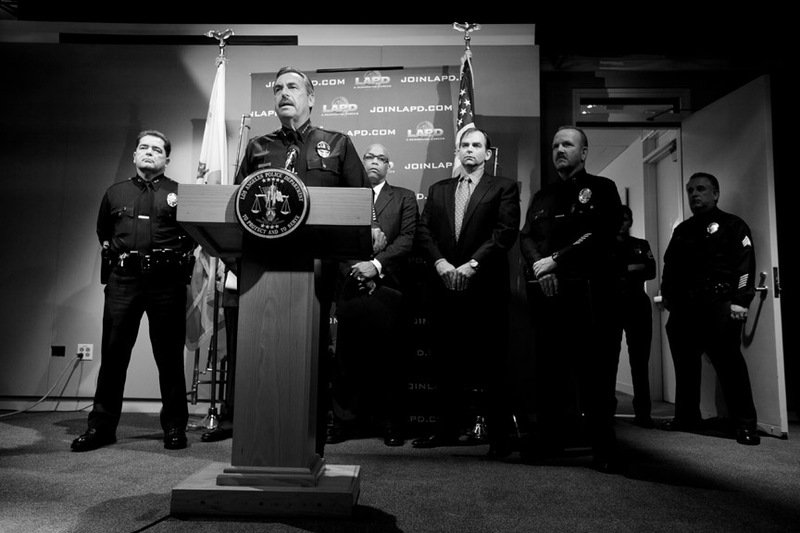 Chief Beck and his detectives. 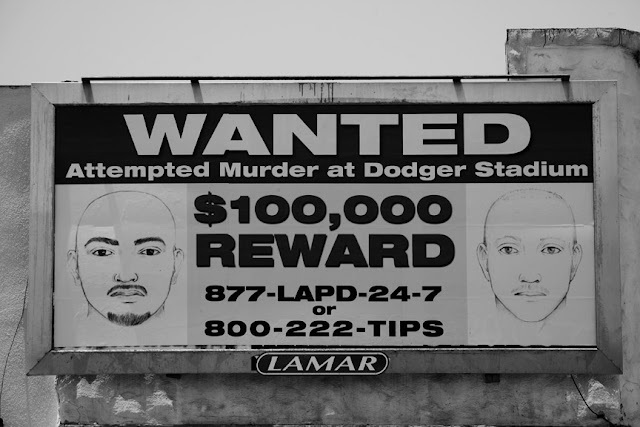 Wanted poster on Mariposa Ave.
LAPD Chief Charlie Beck faced the media today and stated he is confident that Giovanni Ramirez is still one of the main persons responsible for beating Giants fan Brian Stow. 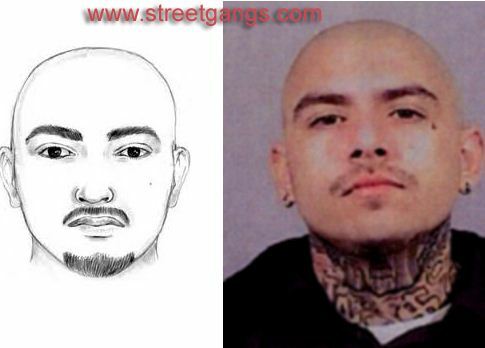 Although Chief Beck is now calling for more investigation in to the case against Ramirez, who was arrested last Sunday. "A score of detectives" are still investigating the beating case, along with "700 clues that are coming in from the public" claims Chief Beck. Ramirez faced a line up yesterday, and Chief Beck stated he was satisfied with results, although he would not clarify the results. Ramirez has lawyered up and states he was at home with his 10 year old daughter at the time of the beating on March 31, 2011. He is also willing to take a police polygraph to prove his innocence. Ramirez is being held for a parole violation and for the vicious beating, with bail set at 1 million dollars. Two other suspects still remain at large, one woman get away driver and one male latino.